In scientific and technical degrees, the opinion of the final employers on the given subjects is really important. For this reason, the Quality Committee (CQ) of the Faculty of Chemistry of the University of Barcelona prepared a survey for chemical, engineering and pharmaceutical companies asking about the academic training required by the companies. The survey consists of nine sections including items related to laboratory operations, chemical processes, calculation methods, management systems (quality, environment and safety) or general management information. In addition, at the end of each section, a question inquires the companies about the competences shown by students in the items of the section. The results were compared with that of a similar survey carried out in 2007. The scores obtained, between 2 and 3, for all the items (score: 1, not important; 2, unimportant; 3, important; 4, very important), show that companies accept the training given to our students and the competences achieved by them. However, according to their opinion, it is possible to improve this training, especially in the subjects related to management (time, information, environment, quality, safety, etc.). 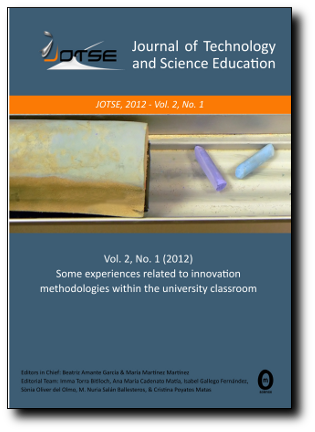 Therefore, surveys are a good tool for the evaluation of the training achieved in our degrees and, consequently, for improving degrees and the teaching task, according the Quality Management System implemented in the Faculty of Chemistry.